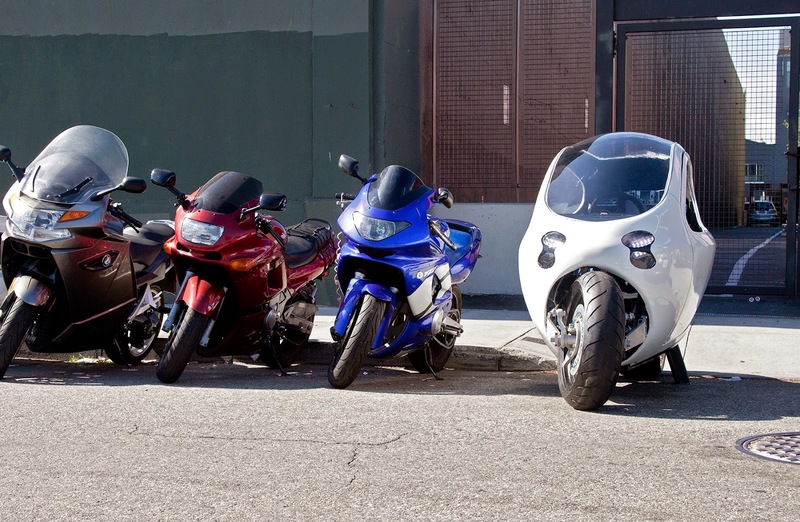 There are vehicles such as cars, but only has two wheels but allow users to stay balanced while in it. This vehicle named C1 developed and engineered by LIT Motors since 2012. Vehicle which has a drive like a car, but it has two wheels and has an outstanding balance. In general, with a large body like a car makes the driver will have difficulty controlling the vehicle comfortably, but the engineering is done by LIT Motors provides outstanding balancing technology and also has a fairly light weight ie only 360 kg. In arranging the balance, C1 uses a gyroscope and an electric motor to keep its balance. C1 is designed for two people and a 100% use electricity. By using a small electric motor and 10 kWh battery, this vehicle can accelerate from 0-60 mph in less than 6 seconds and has a maximum speed of 100 mph. And LIT Motors claimed, when the battery is fully charged, C1 is able to drive up to 200 miles. 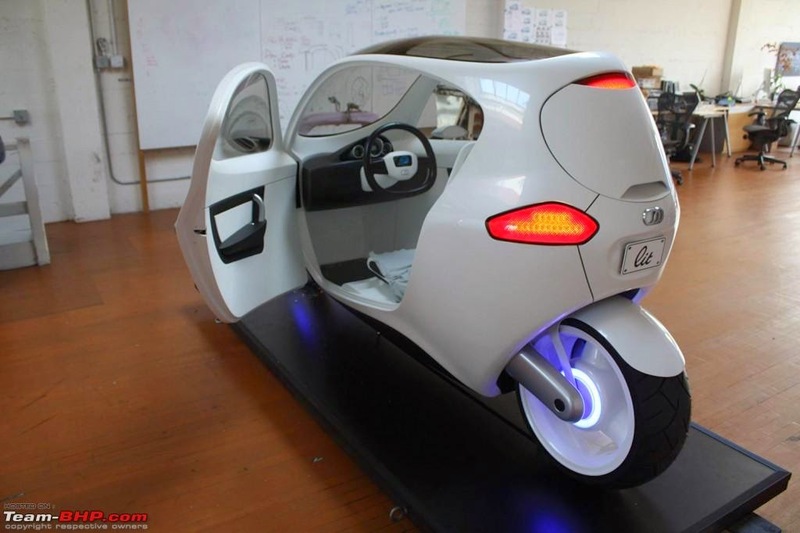 This vehicle has advantages compared to a motorcycles or cars, because it has a fairly small body of 4-inches wide, as well as aerodynamic and sleek design that can break through traffic congestion. With the covered body so that users will be protected from the unwanted weather such as, heat, strong winds, rain, and other. In addition C1 using the technology of gyroscopic stability, that using electronic Control Moment Gyroscopes System (CMGS) which is able to produce thousands of ft-lbs of torque. With the gyro system is able to make a vehicle stand even when the vehicle stops at a red light, the user does not need to go down or supported by the foot to make the vehicle still stand, or even when a collision it can still remain standing. This vehicle also uses the Kinetic Energy Recovery System (KERS) technology which allowed energy regeneration during the vehicle braking and store the kinetic energy in the gyro flywheel. 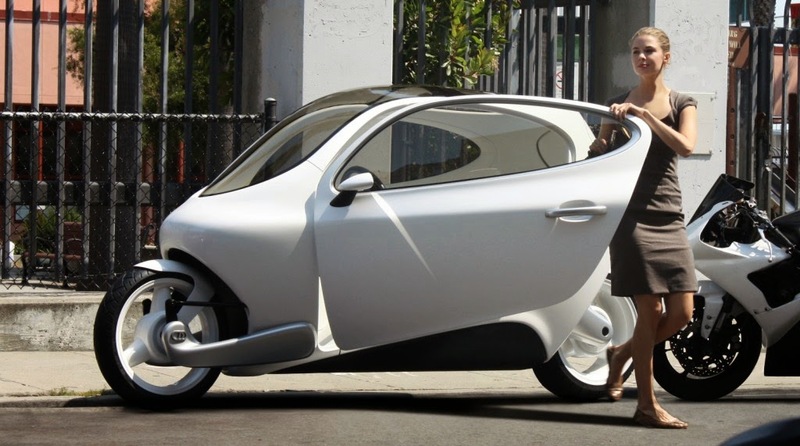 For now C1 has been made in a limited number of 370 units, but will start plus up to 10,000 units, and sold for $24,000.